Line Marking Paint and Line Marking Machines for Grass, Hard and Synthetic surfaces. World's No1 manufacturer of Pitchmarker line marking paints. To view in full screen double click/tap video. I have been a Fleet customer and user of Fleet products for over 30 years. I have always found their paint, line markers and customer service to be of an excellent standard. I have recently invested in the exciting MAQA and see it as a huge opportunity to grow my business further, and freeing up valuable time during our busy periods. Soon to be launched PATENT PENDING RAISABLE KNIB. 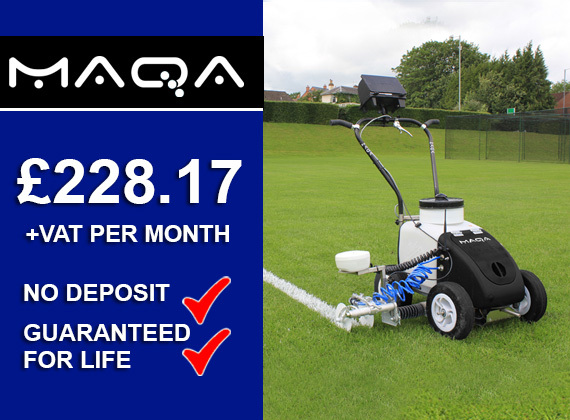 Call 01684 573535 to arrange a demonstration..
MAQA GNSS Line Marker with no deposit! No deposit required, Guaranteed for life, Wear and Tear covered free of charge – we will swap out / fix the machine Call to order 01684 573535. If launching two brand new websites wasnt enough we have also introduced FREE SHIPPING on orders over £75.00! 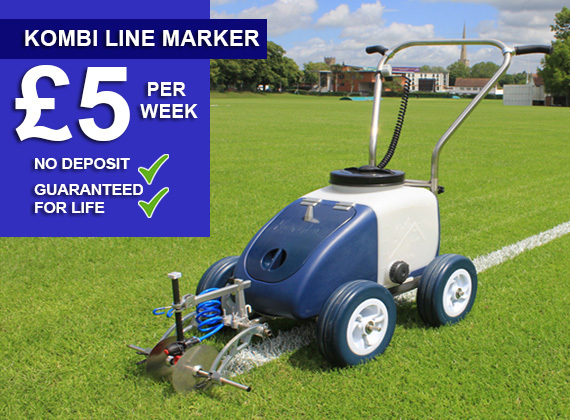 Own a Kombi line marker for less than £5 per week with our winter machine deal. Amazing offer on grass paints, be quick as the offer might not be around for long!